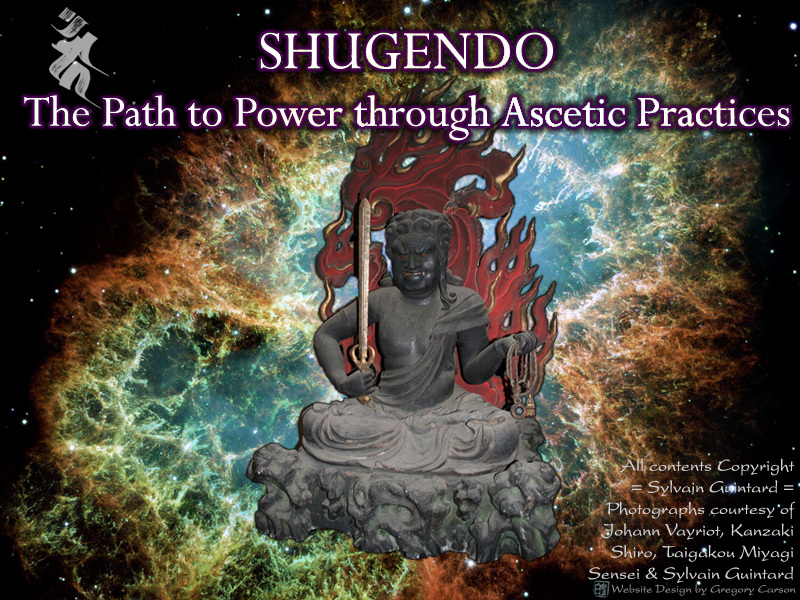 Many antropologists recognise Shugendo's roots (sangaku shinko, worship of sacred mountains) as the most ancient popular spiritual and religious belief and practice system of Japan dating back to over 1300 years ago. Though being rooted in Vajrayana buddhism, members of the priesthood and laymen alike follow one same path of Realisation. In Shugendo nature as a whole is sacred. For sure its understanding demands efforts of comprehension of a culture radically different to that of the analytical, cartesian and individualist West. This website will never replace direct teaching and transmission,but will however give you an overview, as it is the fruit/result of 30 years of intense practice of this mountain buddhism. May its discovery be the opportunity for an enriching inner-journey as it is above all a sharing.